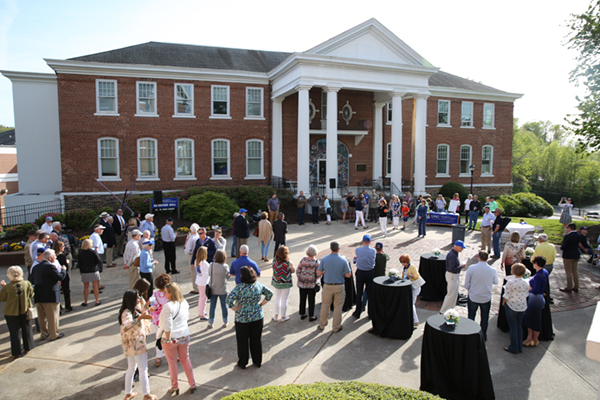 Boar's Head-Corps Alumni Weekend will take place Oct. 6-7 on UNG's Dahlonega Campus, with opportunities for cadets to connect with military alumni. Boar's Head Weekend returns to the University of North Georgia's (UNG) Dahlonega Campus on Oct. 6-7 with a goal of connecting current and former cadets during a weekend of mentoring and networking. "This weekend is intended to bond undergraduate cadets with experienced alumni to assist in career building and especially in creating loyal alumni of the future through the mentoring and networking process," said Alan Ware, president of the North Georgia Corps of Cadets Association (NGCCA). 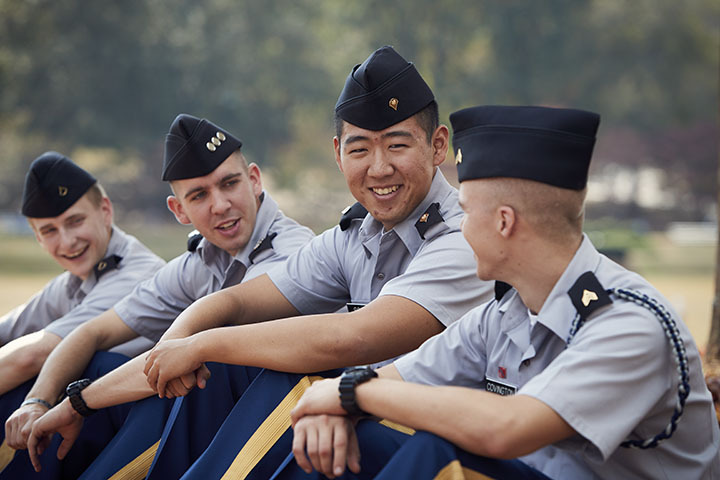 NGCCA is an alumni support group dedicated to preserving the legacy of leadership provided by UNG's Corps of Cadets, also called the Boar's Head Brigade. The weekend includes a variety of events, classes, speakers, socials, recognitions, and remembrances that all corps alumni are invited to attend. Alumni do not have to be NGCCA members to attend. Boar's Head Weekend kicks off the evening of Friday, Oct. 6, with retired Col. Jimmy Blackmon, a 1991 alumnus and author of "Pale Horse: Hunting Terrorists and Commanding Heroes with the 101st Airborne Division." Blackmon's book, which details the true story of an Army aviation task force during combat in Afghanistan, serves as the backdrop for his lessons on trust, empowerment, innovation, and teamwork. Blackmon served 30 years in the U.S. Army, including 12 years in the 101st Airborne Division where he commanded the Pale Horse Task Force. In his keynote speech, Blackmon will explain how to inspire human behavior through quality leadership. Blackmon's appearance is sponsored by GreyStone Power Corp., as presenting sponsor for the event. On Saturday, Oct. 7, the afternoon will include networking opportunities for all UNG cadets. 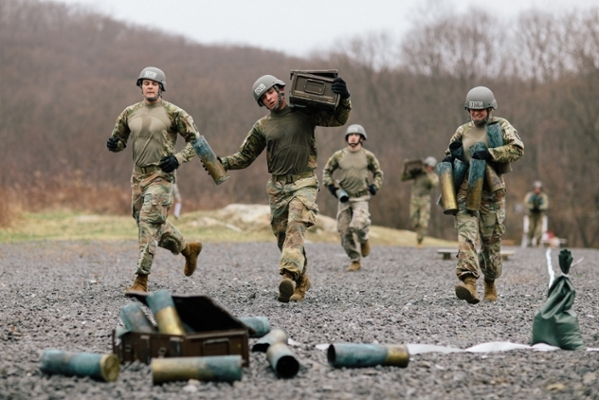 Career-based panel discussions are planned for junior and senior cadets who do not plan to commission as a military officer; commissioning cadets can attend military briefings featuring active duty junior officers who have been recently deployed. Freshman and sophomore cadets can attend panels that address topics such as internships and other resume-building opportunities. 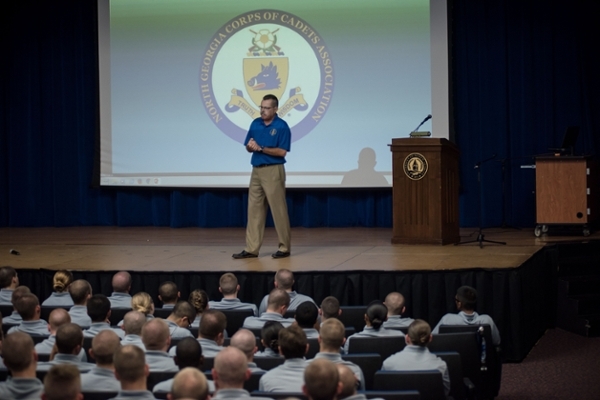 "The corps delivers great leaders to the military services and civilian careers," Ware said. "If there is any way experienced alumni can assist in enhancing the professional development in any of these fields, NGCCA leadership sees a duty to assist. Boar’s Head-Corps Alumni Weekend is one way that we can provide this assistance." Oct. 7 events also will include UNG's annual Distinguished Military Student (DMS) Review to recognize high-achieving senior cadets, set for 10 a.m. to noon on the Gen. William "Lipp" Livsey Drill Field. 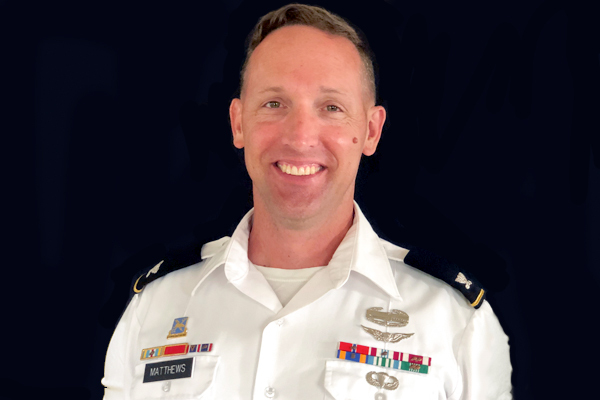 To earn DMS recognition, a cadet must be in the upper half of the academic class at UNG, the upper third of the ROTC class, and the upper third of UNG's Order of Merit List, established by the professor of military science. The DMS students and their families will be recognized at a dinner that evening, which is co-sponsored by the UNG Alumni Association. Tickets are $40 per guest. Registration is required for all events except Saturday's DMS Review, which is open to the public. For more information, to register, or to see who's attending, visit the UNG Alumni Association website. UNG is one of only six senior military colleges in the nation and is designated as The Military College of Georgia and a state leadership institution.